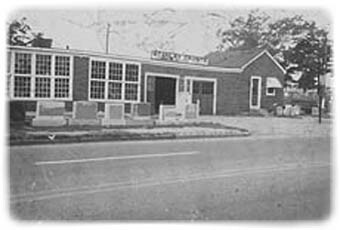 was established in 1937 by Stanley Czerwonka, in a small garage on Route 114 in Rumford, Rhode Island. With the help of his two sons the business grew and is still a family owned company today. 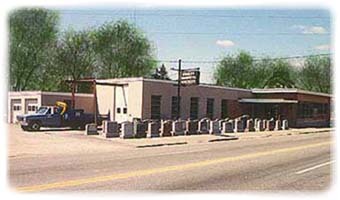 Incorporated in 1967, Stanley Granite Company is proud to be in the third generation of management, demonstrating our commitment to creating the finest memorials. Highly skilled craftsmen and women create all monuments and memorials at our site. We provide personal attention to your needs and can tailor a special design to personalize your family's memorial. From sales to final delivery, every step is thoughtfully taken with your family's wishes as our top priority. 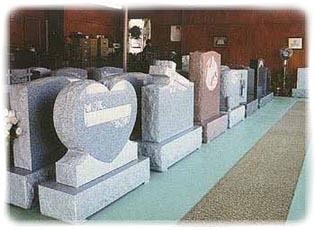 All monuments are custom made at our Rumford location and delivered through out Southeastern New England. We look forward to the opportunity to serve you and invite you shop at our Rumford location, 91 Pawtucket Avenue, Route 114 (next to Mt. St. Mary Cemetery). Our display contains over 100 memorials including upright monuments, slant markers, flat markers and benches. We have a large air conditioned, handicapped accessible, indoor showroom for your comfort. We also offer a satellite sales office in North Kingstown at 26 Winsor Avenue for your convenience. The phone number there is 401-295-8640. We respect your need for privacy at this time, but also realize that one of the many decisions you may need to make over the next several days or weeks involves the choice of a cemetery monument or marker. "You have our deepest sympathy for the recent loss of your loved one. It is our sincere effort to assist you in making an informed and rational choice of the finest monument available."